There are 2 cat videos tagged with mirror. 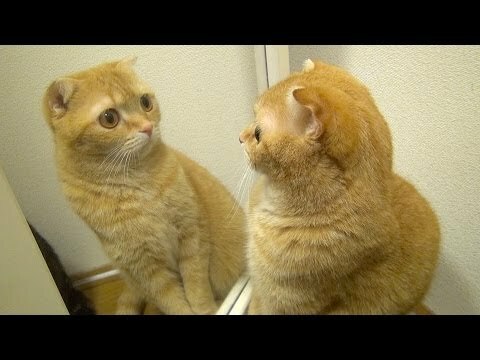 Maru, a cute orange tabby Scottish Fold is so confused about what he sees in the mirror. It appears that there is another cat that looks exactly like him! Watch as he tries to figure out how to play with his mirror doppelgänger and never quite figures out what's going on. His friends eventually join in and just bring more confusion to the situation. One of his tabby pals shows up and Maru is left thinking that there are now four cats in the room! His other friends have a good time playing with the mirror as well. Caesar the cat often enjoys checking out his reflection in the mirror. But what makes this clip so great is the hilarious facial expression he gives. So funny! 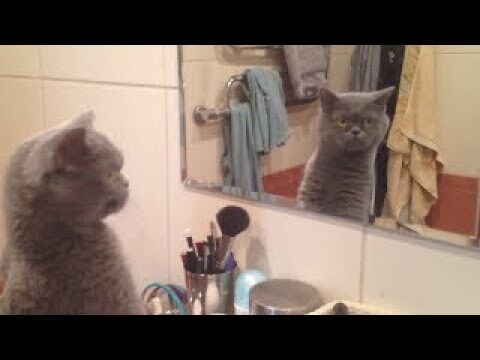 Source & embed code: https://rumble.com/v2zwh7-cat-admires-in-the-mirror.html. For licensing, please email licensing@rumble.com.